from Shore to Shore: An evening of music, words, song and food from 17th Century England and Morocco, Stoneleigh Abbey, Warwickshire UK. Last night our Editor, and daughter Hannah, enjoyed an evening of music, words, song and food from 17th Century England and Morocco. Part of the ‘Entertaining Morocco’ project, An intercultural exchange between England and Morocco. Around 50 guests enjoyed the beautiful setting of the Jacobean Stoneleigh Abbey in Warwickshire; a fantastic performance, a wonderful mixture of Tudor English and Moroccan food, music, songs, extracts and speeches. The Playwrite Alison Atkinson was present to view the interpretation of her work; which she throughly enjoyed. The Honourary Secretary of the BMS (British Moroccan Society) Benedicte Clarkson came up from London for this special event and was equally delighted by the performance. THE ENTERTAINING MOROCCO PROJECT is a series of fascinating intercultural events drawing together performance traditions from England and Morocco, presented as theatre works, musical concerts, and discussions, by Moroccan and English artists and scholars. 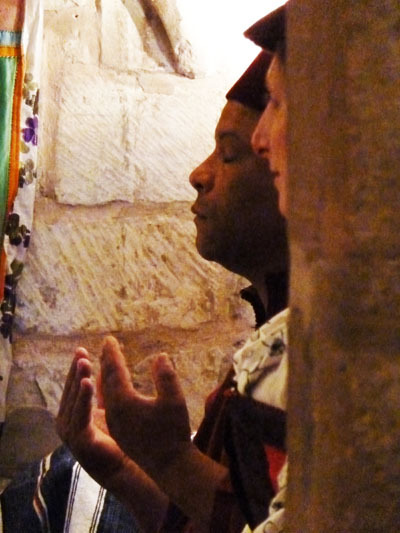 The project explores cross-cultural collaboration and learning, aspects of Christianity and Islam, and invites the target audience of 18 – 30 year olds in both countries to debate personal freedom, recognise cultural differences and similarities, and appreciate the surprising historical ties between the two worlds. At the project’s heart is a poetic and fascinating new play by Alison Atkinson, Entertaining Morocco, which is produced by One World Theatre and was premièred successfully in London in 2004. Its starting point is historical fact: pirates from the Barbary Coast of Morocco capture a group of Devon country people in 1631, and enslave them. This leads to a new life, both of captivity and strange new richness, for the English in North Africa. Imprisoned together, they become street performers integrating their own church music with oriental and Islamic acrobatic and singing traditions. Some find unexpected love; others spiritual refreshment; some hope to return home… but where is home? And if a ransom is paid, who will pay it, and with what consequences? The play has been revised and reworked specifically for this project and it now incorporates live music by Moroccan Sufi musicians of the Ensemble Mogador Chant et Musique Soufie, as well as exciting aerial work and Jacobean period music. 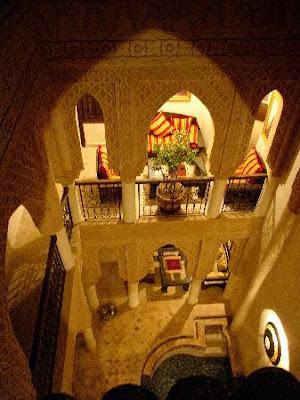 Performances have taken place in Marrakech and Essaouira, Morocco and venues in the UK; continuing over the course of 2011. 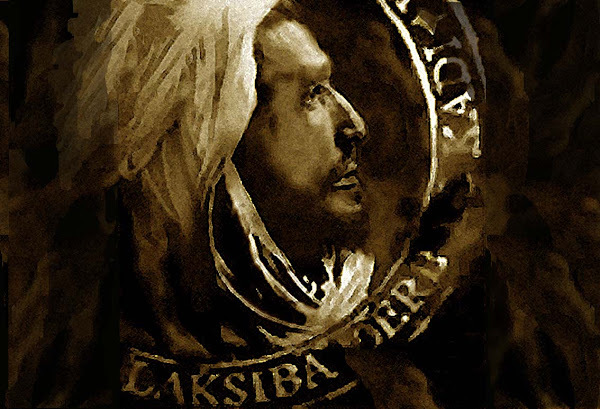 Introducing the play will be a concert series by Passamezzo, an English ensemble specialising in theatrical performances of often unknown English 16th and 17th century music, embellished with dance, food of the period and readings. The collaborate with the Ensemble Mogador Sufi musicians , which started in Essaouira and Marrakech Morocco; have contrasted and blended two traditional styles of performance into a fascinating whole. Yesterday evening the Sufi musicians performed with Passamezzo for the UK return visit. Surrounding the concerts and performances will be debates, discussions and workshops for young people inspired by the cross-cultural fusion of arts and examining important issues raised in the play. A website with material in Arabic, French and English will include blogs and resources for teachers or individual study, and Neon Forest will document the project in photos and film. The project is a result of discussion and collaboration between groups from diverse backgrounds. 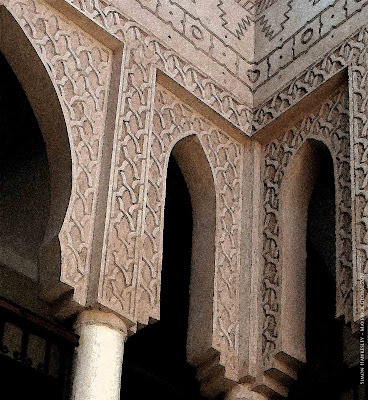 The work with Moroccan partners – particularly the Sufi musicians and Marrakech University – is especially innovative. The project has been developed and curated by Diana Lazenby of Lazenby Education whose expertise in training and education includes bridge-building and gathering insights from one discipline to enhance others, adding a new dimension or extra value to a project. How interesting. I have read the book by Giles Milton titled ‘White Gold’ on the same subject – it was as great read and very revealing about the way of life in Morocco at this time. Will there be any more performances of Entertaining Morocco closer to London in the near future? We are actually repeating the performance tonight, 2nd June, 8.00 at St John’s Wood Church, London NW1. The concert and readings with renaissance and tudor nibbles afterwards. No tickets but a retiring collection. Would be good if you can make it. Just to say that we recorded the Lord’s prayer and a few other pieces last night. We hope to have a short CD available soon. The idea of setting side by side, and occasionally overlapping, words and music from two such supposedly differing cultures is simply brilliant. It highlights the similarities rather than emphasising the differences. The event at Stoneleigh Abbey was beautiful, a deeply spiritual atmosphere settled over the company very quickly. We need lots and lots more of this, to convince many more people that Christians and Muslims (and people of all religions and none) do not need to be scared of each other.